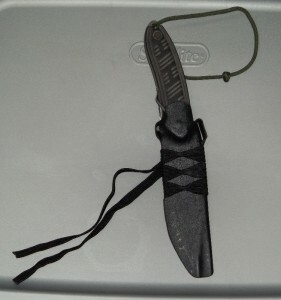 I recently purchased a Buck 65 Hood Punk Knife for my INCH bag to replace the Buck 119 that I’d had previously. 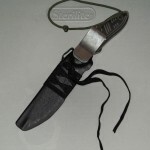 The Buck Punk is well suited to such an application, its design credited to survival instructor Ron Hood. 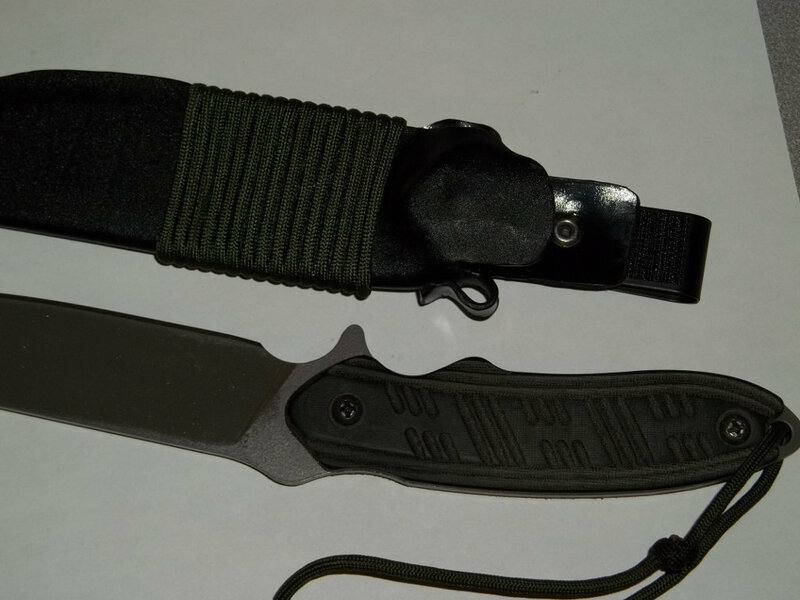 It features a full tang and 5″ cutting edge with a full flat grind on a 7.6oz bar of 5160 carbon spring steel, with micarta scales and the Buck lifetime warranty. 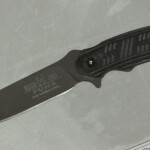 It gets good reviews for both toughness and edge retention. 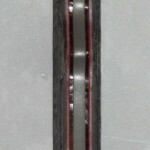 The Punk, however, has a few issues that I wished to correct to make it the ideal knife for me. The handle is a bit thin and has sharp edges, and the sheath is bulky and heavy at 6 oz. First step is to make any necessary changes to the handle. 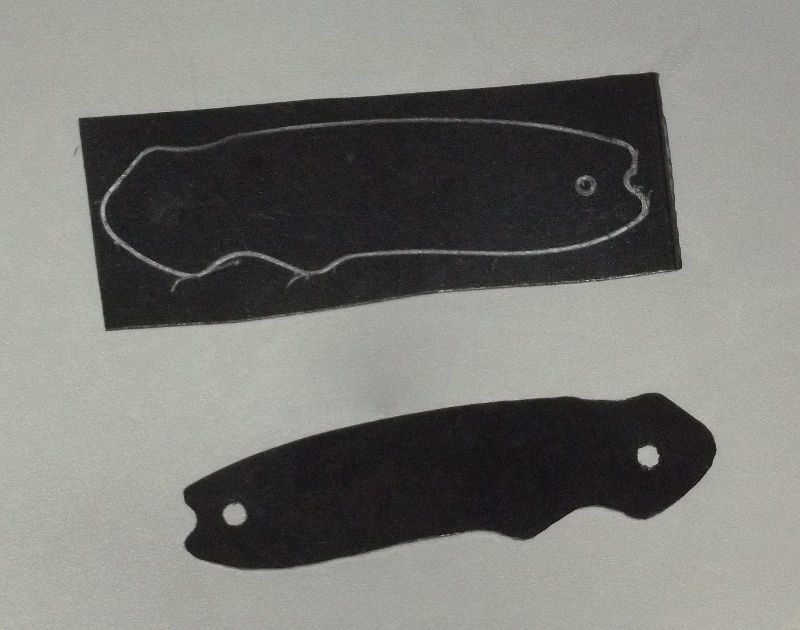 I took some thick 1/16″ plastic from an old school binder and traced out some inserts that would fit between the tang and the scales. I cut out the rough outline with scissors and trimmed them down to size with a hobby knife. 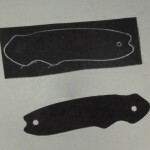 I then traced and “skeletonized” the plastic insert to match that of the knife’s tang (not pictured). The problem I ran into was that widening the handle this little bit was enough that the original chicago screws weren’t long enough to fit. I improvised with a 7/32″ Aluminum Tube that I cut to size with a hacksaw and smoothed with a hobby file. Flattening one side just a small bit allowed the tube to slip into the screw holes on the tang. I bought two each of blued 8-32 3/4″ screws and hex nuts from the hardware store and sawed a bit off the ends so that they wouldn’t stick out. This assembly held the knife together rather well, and I touched up the scratches and bare spots on the hardware with liquid gun blue. It is worth noting that after the handle modifications, it was too thick to snap into the factory sheath. Next, I used fine files and progressive sandpapers from 220 to 600 grit to soften all of the sharp edges of the factory micarta scales, with special attention to the finger indentation. Interestingly, the smoother I sanded a part of the handle, the darker it would become, accentuating the high points of the pattern. 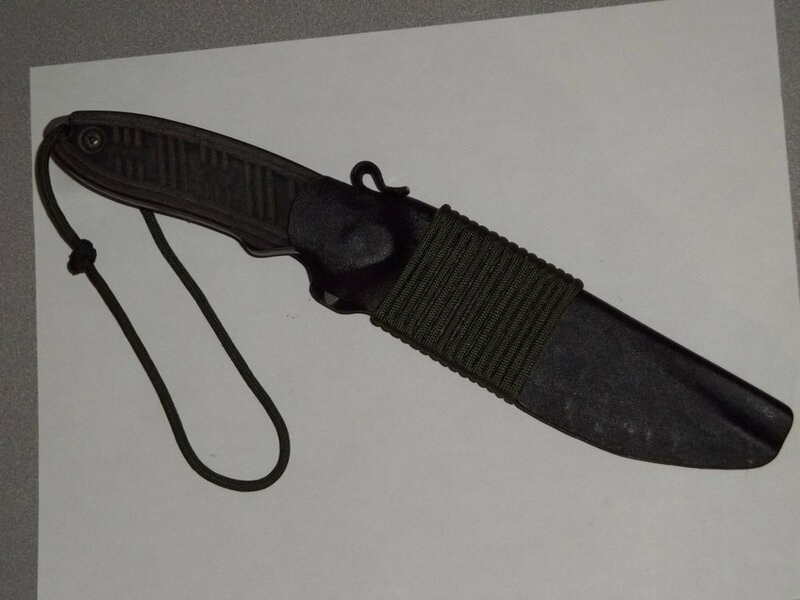 Once the handle felt relatively comfortable, I added a paracord lanyard to the knife, and this part of the job was complete. Now, on to the sheath. I purchased a 9x12x.060″ sheet of Kydex. I was worried it would be too thin, but it turned out not to be a problem; any thicker would likely have been too thick. I applied two layers of masking tape to the blade and placed the split sharp end of a wooden kebab skewer on the knife tip to create a drain hole. I cut a 5×9 piece of Kydex and placed it on aluminum foil, texture-side down, so that I could remove it from the baking pan quickly and flip it over onto the knife. I baked the piece in the oven at gradually increasing temperatures up to 300°F. I found that as it heated, it shrunk down to 4×8, which threw off my measurements quite a bit, no longer having room for eyelets along the edge side. I’m not sure if I heated it for too long or if this shrinkage is normal. Using cotton gloves, I proceeded anyway and wrapped the Kydex as best I could around the blade. I folded the Kydex in a gardening kneeling pad and pressed it by placing a wooden board atop and standing on it for ten minutes. Once cool, the Kydex had formed around the knife very well. 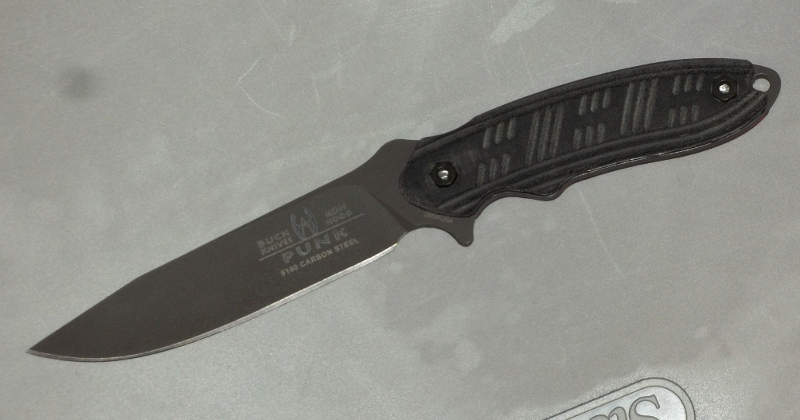 It enveloped the knife, held it positively without rattling, and would click audibly during sheathing. However, having shrunk too much for eyelets, I decided I would trim it in such a way that I could wrap it in cordage to keep it together. After using a Dremel tool cut-off wheel to cut the rough shape, I heated a strip on the spine of the sheath with a hand-held heat gun . Using a wet cloth to protect the rest of the plastic from the heat, I bent the strip over in a loop that serves as both a thumb ramp and clip for holding cordage in place. Using various Dremel grinding bits , I brought the sheath down to its final shape and rounded all the corners. 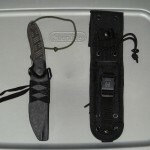 I took some flat nylon webbing and wrapped it about the middle of the sheath in the manner of a Japanese sword handle. When attaching the sheath to a belt using the webbing, I found that it would ride too high to facilitate a comfortable draw. 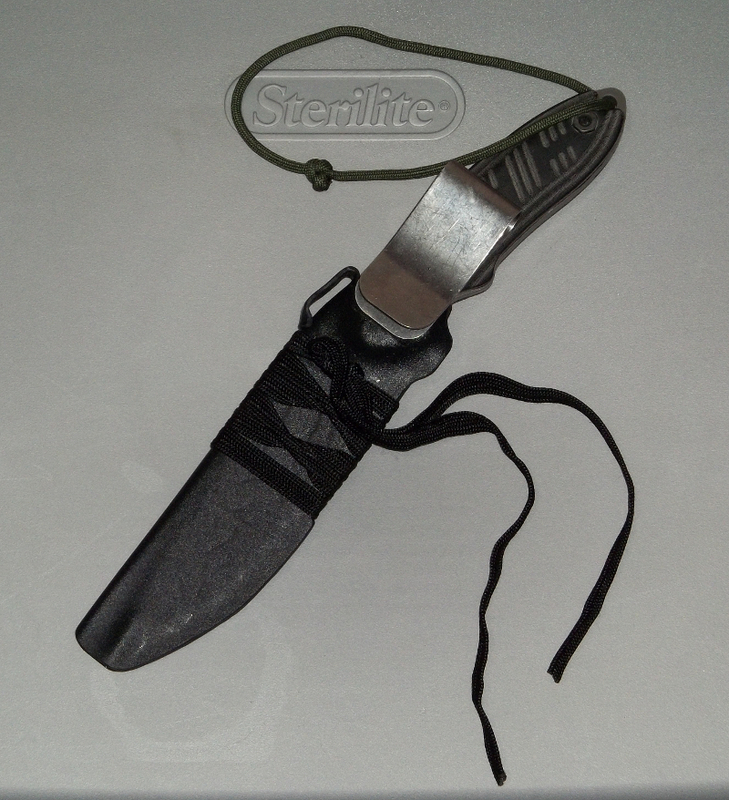 Finding a clip that I could mount to a high point on the sheath was another difficult task. I ended up using a Velcro-attached clip; not because it is the optimal solution, but because it’s what happened to be on hand. We’ll see how it holds. Velcro can be removed, and I can always fall back to a riveted clip. 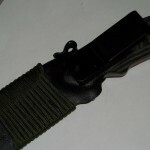 The extra webbing that is leftover from the sheath wrap can be tied to/around the belt, for extra security. I’m very pleased with how this project turned out. The sheath in particular, I feel, is better (and cheaper) than anything I could have bought, certainly an improvement over the factory sheath. 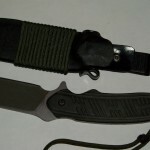 The post-modded knife weighs 8 oz, and the custom sheath 3oz. I think that the next time I work with Kydex, I can do better; it surprised me how well the Kydex formed, given the rudimentary procedure that I used. Kydex shrinks a bit when heated. Heat Kydex with the textured side up. Thin cotton gloves are sufficient to handle hot Kydex. Dremel cutters are much more effective on Kydex than hacksaws; the heat they generate soften the plastic and make for an easy cut. 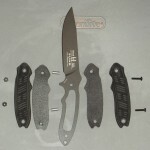 When deciding on my purchase, I was stuck between the Punk and the ESEE-6 . 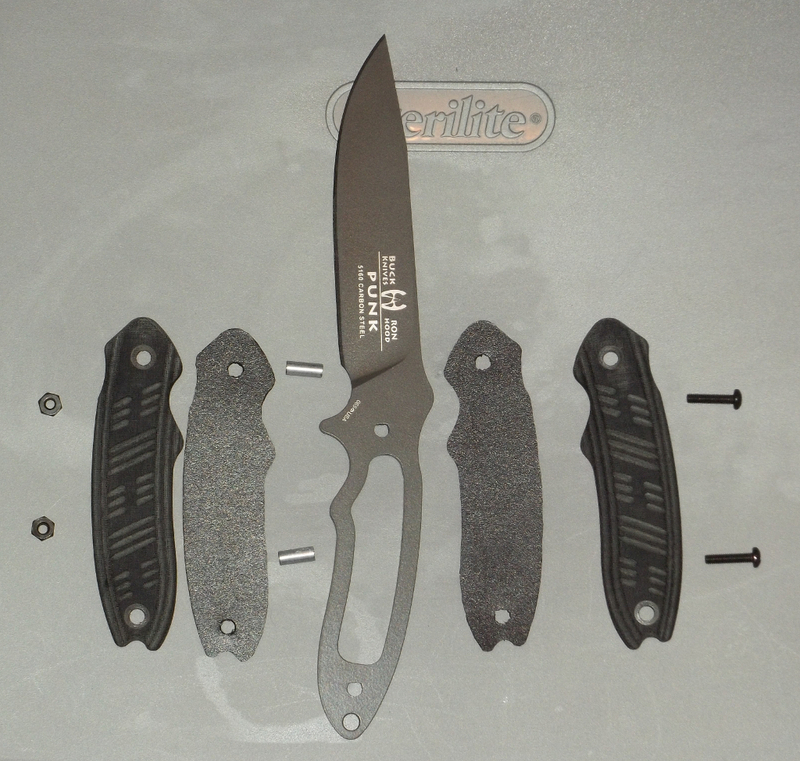 Though I eventually settled on the Punk because of lighter weight, steel choice, and a sleeker design, I might go with the ESEE-6 were I were to purchase again. It has most of these customization out of the box, and all I’d sacrifice is carrying 5oz of extra weight. Though, depending on the situation, that is not always a bad thing in a knife. Update: I decided that I liked neither how the velcro clip was holding up, nor how well it locked onto the belt, and I also noticed the knife retention was not quite as secure as I would have liked. I made a few modifications. First step was to use a heat gun to soften and modify the thumb ramp to hug the back of the knife a bit better, but this caused the edge of the knife to pop out a bit and cut the wrapping. 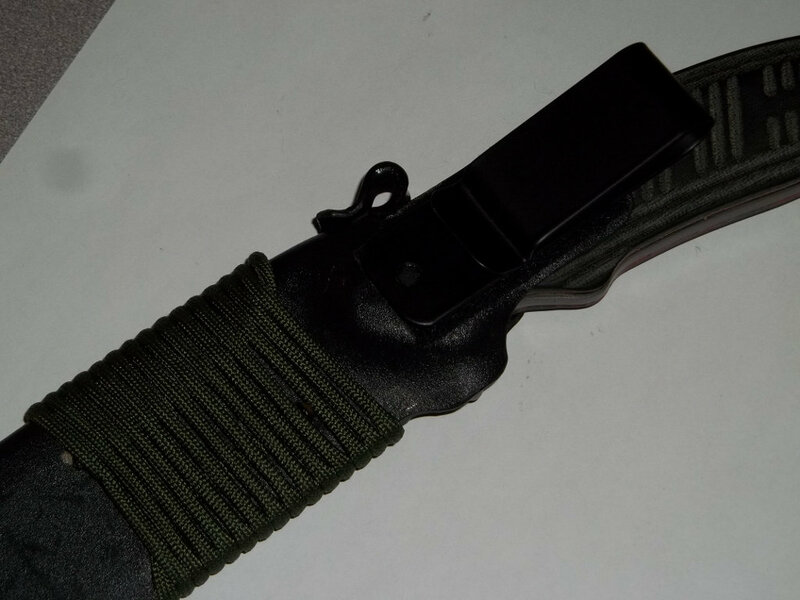 I reformed the ramp and solved this problem, then re-wrapped the sheath in paracord. To fix the clip, I bought a Tandy Leather Spring Belt Clip, into which I drilled a hole so that I could pop-rivet it to the sheath. I left the Velcro on to give it some ability to swivel and set a position. Retention is now excellent (maybe too strong) and it clips securely to my belt.